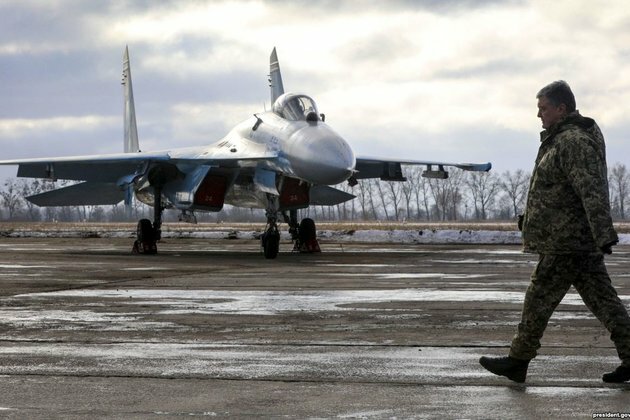 The United States says it has carried out an 'extraordinary' flight over Ukraine under an international military surveillance treaty, amid what it called a pattern of "increasingly provocative and threatening activity' by Russia. These flights are usually scheduled well in advance, but the treaty allows 'extraordinary,' or unscheduled flights, if two participating members agree -- in this case Ukraine and the United States. 'We routinely conduct operations to advance security and stability throughout the U.S. 6th Fleet area of operations to include the international waters and airspace of the Black Sea,' said Commander Kyle Raines, a spokesman for the U.S. Sixth Fleet, which oversees naval operations in the region. 'We reserve the right to operate freely in accordance with international laws and norms,' he added. Viktor Bondarev, the chairman of the Federation Council's committee on defense and security, called the possible deployment of U.S. Navy ships in the Black Sea as "yet another episode of saber rattling, yet another ploy to humiliate Russia,' TASS reported.